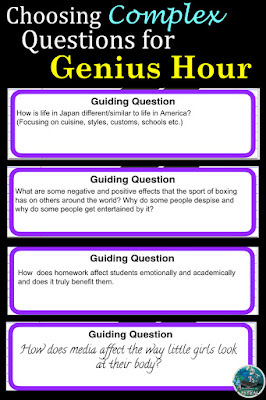 This year I incorporated Genius Hour into my 8th grade physical science class. It was a learning experience for both me and my students. The first semester was spent figuring things out. There were many amazing moments and many failures. Trying to figure out the logistics of keeping track of what my students were doing and learning was an adventure in itself. We also had to figure out ways to work around the restrictions imposed by the districts firewall, no youtube, no blogging, no video creation. Here is what we learned and what worked for us. - I decided to do this with my Pre-AP science students every Wednesday. I chose Wednesday because that was our collaboration day and class time was shorter. - To introduce Genius Hour I showed them the video from A Pep Talk from Kid President. You can find the link HERE. I then had them come up with some really bad ideas which I borrowed from the bad idea factory video. 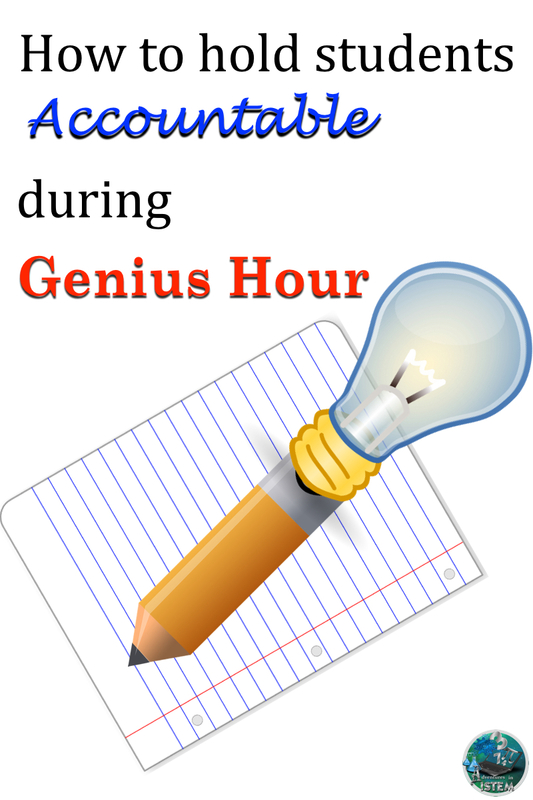 - Next I created a digital notebook for them to put all their Genius Hour information in. They had to create a complex question that would require weeks of research. They then had explain why they chose that question and what product they will create with the information. - For their first project during first semester they were not allowed to work with partners. They had to take the first journey on their own and learn how to deal with struggles. They were allowed to have the same ideas but the research and product had to be their own. There was a lot of growth happening this first semester because of it. - The second semester I allowed them to work in groups of up to three people. - At the beginning of the class I had them post two quantitative goals they were going to do that day. Example: Today I will find two reliable websites with information on my topic. Today I will fill in one full page of my research notes making sure I cite my source. - As the class was working I would walk around and ask questions about their research. Why they thought a particular site was reliable? How they could use key words to get better results in their search? - Every 15 minutes I would do Goal check ins and have the students read their goal and do a quick self evaluation to see if they were working towards the goal. - At the end of class the last 3-5 minutes I had them fill out a reflection survey. They had to restate their goals. Explain if they met them or not. If they didn't meet them they had to explain why and if I could do something to help them with their project. - Their digital notebook was where they recorded all of their research notes and information so I was also able to look at their notebooks to make sure they were using reliable websites and recording information. - During the first semester I required every student to create a product and then share their journey through a TEDtalk. I felt having the experience of doing a TEDtalk and sharing what they did and their journey was important. 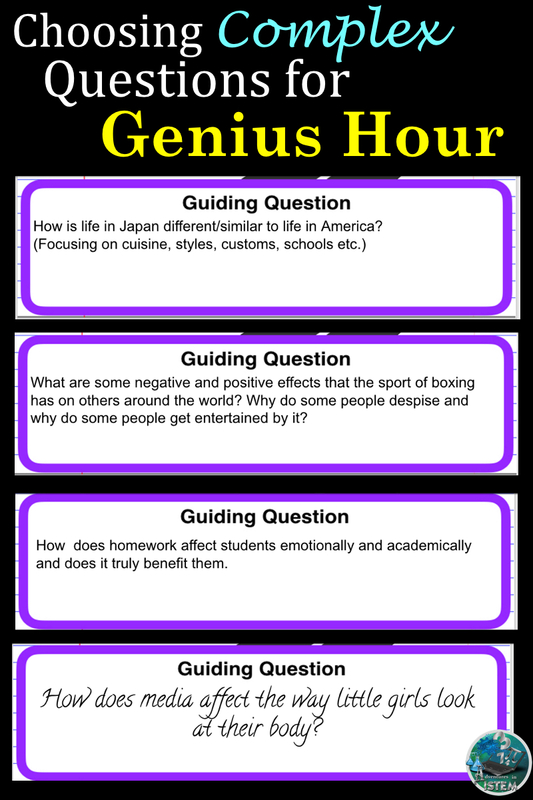 I will continue to have them do that for their first Genius Hour project. - For second semester they were not required to give a TEDtalk, instead I allowed that to be there final product with the knowledge that it would be taped. - Some of my students did ebooks for their final products. Many produced websites. Some did Powtoon videos or Prezi's. A few made their own videos with WeVideo. The ones that did videos had the most challenges since most of them required the videos to be uploaded to YouTube, which is blocked by my district. The chromebook video creators that upload to their drives were also blocked. We made it work by individually making time to upload them to my Youtube site and work from there but some students just decided to create a website instead. - If you have iPADS creating video infomercials would be a way to go using iMOVIE. Below are some of the example websites, videos, and music compositions my 8th grade students created. 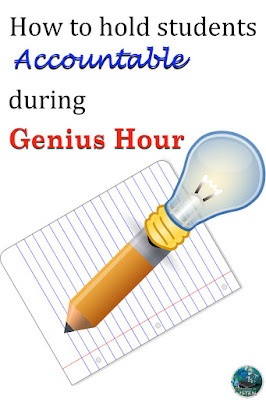 The most important thing to remember is that Genius Hour is an amazing journey for both you and your students. When students are given the opportunity to investigate and learn about ideas that are important to them, magic happens.